Behind The Benz from Hovig Kazandjian on Vimeo. With more than three decades of Mercedes-Benz automotive repair and maintenance experience, Beverly Laurel Automotive, Inc. owner and Mercedes-Benz Factory-Trained Technician, Shant Barseghian, has been serving the needs of Southland Mercedes-Benz owners with a meticulous eye towards detail and integrity. From 1974-1982, Shant, also known as "the MBZ Doctor," received his formal automotive education and training at Mercedes-Benz of North America, where he mastered the craft of specialized Mercedes-Benz service. After his training, Shant served as Lead Technician at Mercedes-Benz of Beverly Hills and Carwell LLC, Mercedes-Benz of South Bay for nearly a decade. 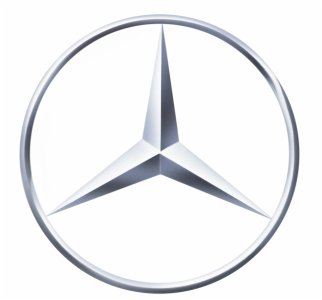 In 1982, Shant established his own Mercedes-Benz Automotive Service Center--Beverly Laurel Automotive, Inc.--where he continues to provide the highest technical service to an ever-growing client base, many of whom are not only return customers, but life-long friends. Beverly Laurel boasts a diverse and discerning clientele, from all parts of the community, including owners of classic, antique, and newer model Mercedes-Benz vehicles, out-of state-Mercedes-Benz owners, celebrities, and public figures, as well as other independent Mercedes-Benz automotive repair shops. Shant is known far and wide for his technical expertise, but maybe more so for his fair and honest diagnostics and effective repairs, saving his clients untold thousands of dollars, and more importantly undue strain and stress.